Say What????!!!! I can't believe you found out about my experimental film, Drexciya! The film is part of a multi-media installation of sculptures and videos. 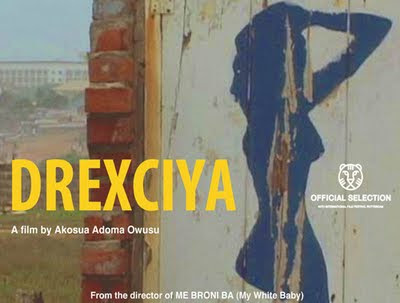 It premiered at the Studio Museum at Harlem in New York and is now doing well on the festival circuit. I'd love to send it to you so you can check it out! The exposure is helping me develop the notion of Drexciyans in a sci-fi film! send me your address at info@mebroniba.com.